The window over the bathtub --- that ultra private location in the home --- has brought increased sales for savvy businesses across the country. Builders, dealers and window manufacturers focused on offering privacy windows are seeing solid return-on-investment and increased sales. "We wanted to recommend to our customers something different than the same old windows," says Colby Greer, outside sales representative with Builders First Source. 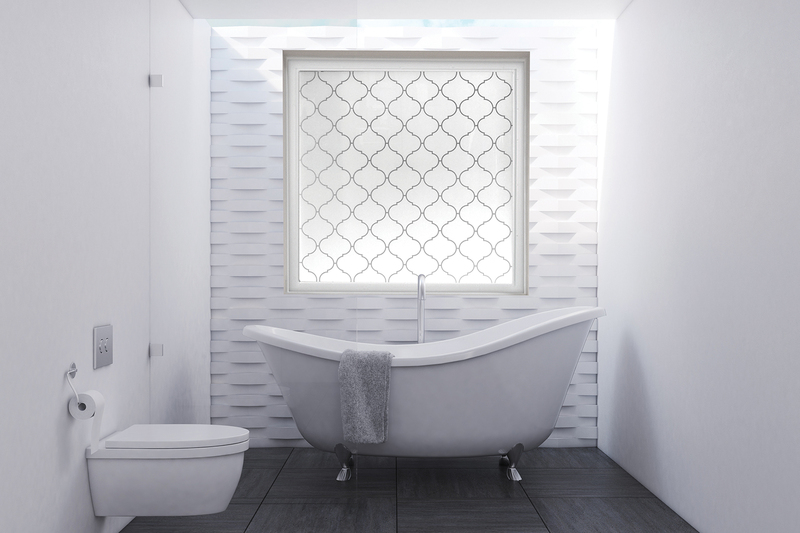 "We're currently offering the Home Designer Collection of privacy windows from Hy-Lite. These are windows homeowners can get excited about that enhance their home's style. "We're offering this alternative window at a competitive price that's comparable to a standard 4' x 4' tempered obscure window. These decorative glass windows help set a home apart." Flynn Built Building Specialists, LLC, located in the Pensacola, Fla. marketplace, purchases four different privacy windows from Builders First Source. The Aurora, Olympia, Baroque and Mission windows all provide different style options to complement any home design. "Most people are pretty excited that they get to choose the design that works best for them," says Renee Ownby, design coordinator at Flynn Built. "They're equally excited that we offer this privacy window as a standard, not as an upgrade." For window manufacturer Lindsay Windows, partnering with Hy-Lite to offer privacy windows makes good sense ... and good business. "The Hy-Lite privacy windows we sell provide an economical alternative to the same old boring obscure window over every tub in every new construction home," says Lee Anderson, general manager and equity partner in the Lindsay Windows South facility. "Quick lead times are a hallmark of our company. Hy-Lite contributes to that with their on-time and complete shipments. The quality of their windows is outstanding and our customers appreciate the unique designs and solid construction." Lindsay Windows supplies privacy windows to both Smith Douglas Homes and Cook Residential throughout the southeast. Additionally several of the company's distributors are offering the windows. "We believe that as we get Hy-Lite products more penetrated into our builder market that people will see this offering as a way to set themselves apart in the marketplace," says Anderson. "Our goal is to match the needs of our customers with unique products. Hy-Lite helps us achieve this goal."